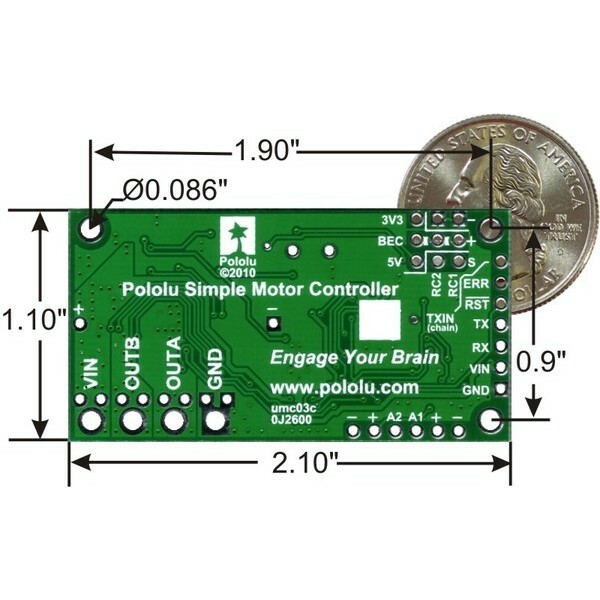 The Pololu Simple Motor Controller 18v7 makes it easy to drive brushed DC motors using USB, TTL serial, analog voltage or RC radio control. 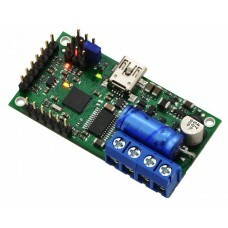 This motor controller operates from 5.5V to 30V and is powerful enough to deliver a continuous 7A of current. Attach it to a wide range of microcontrollers, such as an Arduino or Orangutan Robot Controller by using the TTL serial interface. The interface operates at 3.3V but is 5V tolerant for compatibility with most 5V microcontrollers that recognize a 3.3V signal as logic high. 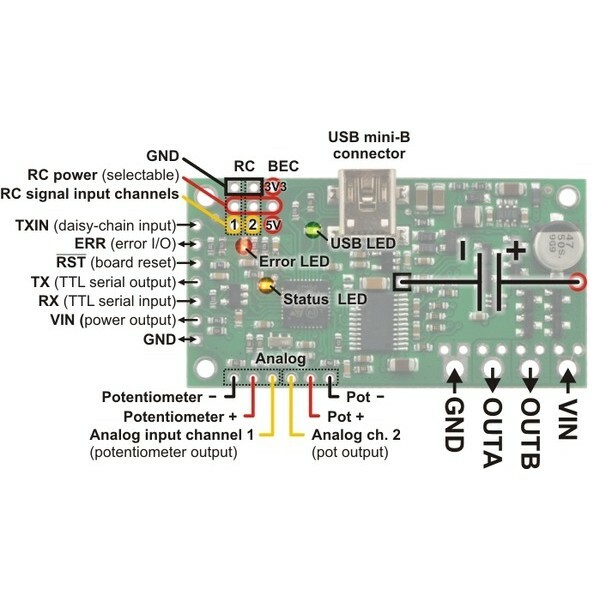 Multiple boards can be daisy chained together for control over a single TTL serial port. The Simple Motor Controller is compatible with standard hobby RC Radio Control pulses and can be directly connected to an RC receiver for wireless control. An analog voltage, such as potentiometer or joystick, can also be used to control a motor. This allows the motor speed to be adjusted by simply turning a knob on an attached potentiometer. When used for typical robot applications, the two analog inputs can be read using the TTL serial control interface instead of controlling the motor. Each analog input has a 12 bit resolution. 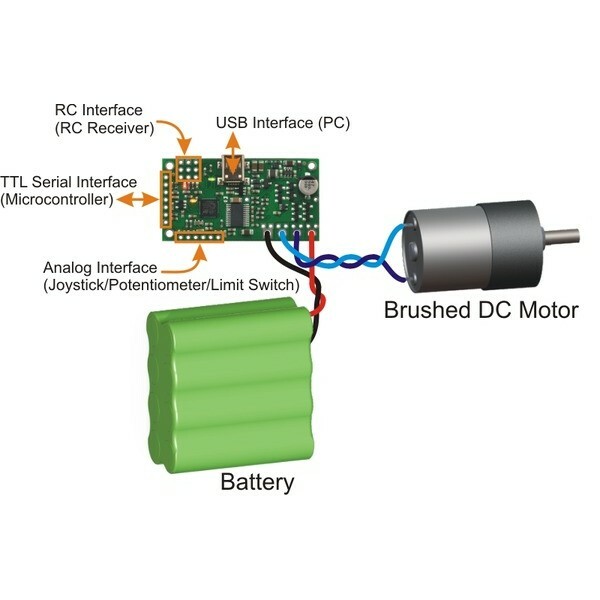 You can also plug the Motor Controller directly into your PC to control a motor over USB using the companion software. This module comes with optional headers, screw terminals and power capacitor that require soldering.